Are these G & G shoes the Most Beautiful EVER? Just got these incredibly beautiful shoes from Tony Gaziano & Dean Girling! They are Bates loafers, wholecut in Vintage Pine with brogueing on the toe. We are pleased to announce that our new website and online boutique is now open offering you a chance to view and purchase from our collections of Bespoke, Deco and Bench Made shoes. Visit our Online Boutique to view a selection of our Bench Made collection. Also available is a range of bags, belts and shoe accessories. 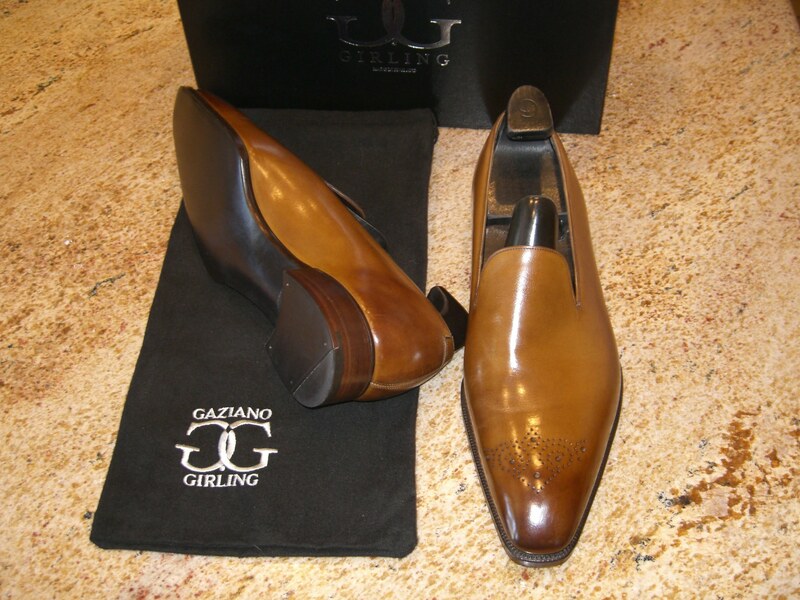 Gaziano & Girling made-to-order service is also available, you have the choice of style, last shape, width, leather colour and sole specification, ultimately giving you a personal pair of shoes.